Nexus Recovery Center is a rehabilitation center for female adolescent (between the ages of 13-17) and adult addicts and began in 1971, originally named High Hopes Rehabilitation Center. Therapy and life training skills were added to the center’s program in 1974 and 16 years later, the center relocated to a campus on La Prada Drive to provide women with more services. Nexus started a program for teenage girls in 1991 and expanded the adult women program for more accommodation. The center boasts of its non-profit status, its mission is to guide women to sobriety, dignity, and independence. The center believes that women struggling with substance abuse and other forms of illness should have access to treatment irrespective of their financial conditions. Nexus allows women to seek treatment in the company of their children and also has a residential program for pregnant women and women with children called Pregnant and Parenting Women with Children (PPWC). The program allows mothers over 18 years of age to bring from 1-3 children with them into treatment. In addition to this, the center also offers detoxification programs for alcohol and sedatives, an outpatient program, and an aftercare program. The facility usually designs an individualized treatment plan for its clients with the help of a Licensed Alcohol and Drug Counselor (LADC) and also combines traditional modes of treatment (12-step, Group therapy, Cognitive Behavioral Therapy, etc.) with holistic forms of treatment. Nexus Recovery Center is located in the city of Dallas, Texas on a 12-acre property which was previously a college campus. The facility has the capacity to accommodate up to 125 individuals with 100 spaces occupied at any given time. The dormitories are categorized by treatment program—Expectant mothers, adolescents, and women with children live in separate spaces and all rooms come with a twin bed allowing for double occupancy. Bathrooms are shared with members of another adjoining room. Breakfast at the facility usually occurs between 8:30-9:00 am, lunch at 11:30 am, and an afternoon snack at 2:00 pm. The center offers a healthy, balanced diet to its clients and vegetables (which are grown in the facility’s on-site garden) are served at the organic salad bar. The facility does not have accommodations for special dietary needs. For children, the child development center opens around 7:00 am and classrooms have a two-hour rest time and for infants, more time is allotted for napping and feeding. The facility has a childcare center, classrooms, and an exercise room. Also within the facility are two playgrounds, a medical and outpatient clinic, and two bucolic gardens. The facility offers a detox treatment program for women suffering from substance (alcohol, opiates, and sedatives) withdrawal and medical staff is available on site to monitor the patient. This program is divided into sections for adult women (18 and older), pregnant women, and adolescents. The women live in a dormitory setting with varying lengths of stay and receive a myriad of treatments and lessons. Some of these include anger management, individual and group therapy, relapse prevention, and physical fitness. The center offers an outpatient program for patients which serve as the next step after completing the residential program. On-site childcare is available and clients are offered treatment for mental health, personal, and substance-related issues. The recovery center is accredited by The Joint Commission National Quality Approval since 2006. The center holds over 100 professional employees available to meet the need of clients. The average duration of a lengthened stay for The Adult Women Residential program is 45 days and 90 days for The Parenting or Pregnant Women with Children program. The pregnant/parenting women with children program provide care services for young children (pre-schoolers, infants) in the facility while older children go to an elementary school. 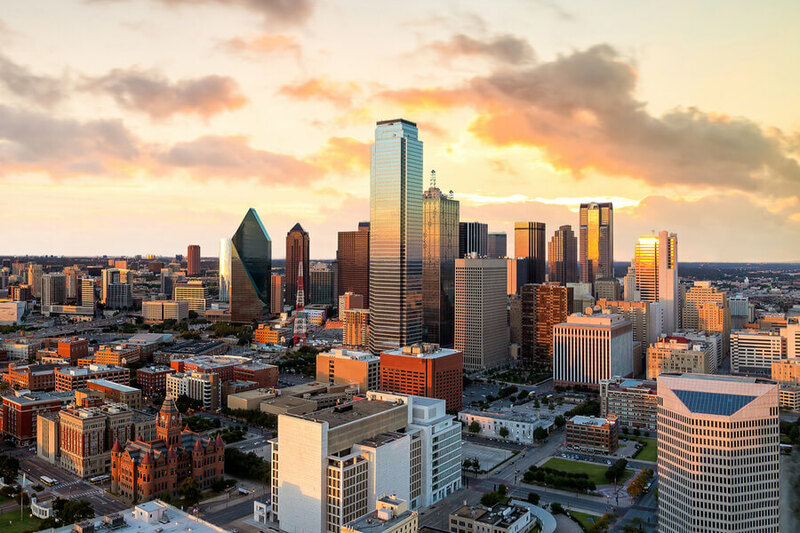 Accredited teachers are made available by the Dallas Independent School System for the 5 days a week, as the recovery center provides an on-site school for adolescents in the resident program. The center in totality allows women the opportunity to take care and be with their young ones while getting treatment. Rebecca is certified and licensed to be a Chemical Dependency Counselor and a Professional Counselor. She holds a Master’s degree in Counseling. Before becoming the Executive Director of the center in 1991, she held the position of Program Director and worked in the administrative department of a clinic specializing in women’s health. She has been in the counseling and chemical dependency treatment sector for over 26 years. Michael holds a Bachelor’s degree from Cornell University majoring in Business Management and a Master’s degree from Boston University majoring in Business Administration. He has been in the non-profit health sector for over 20 years now. His experiences include the management of human resources, facilities, financial operations, and information technology. Stacey holds a Master’s degree from The University of Texas majoring in Social Work and is licensed (master) to be a Social Worker. She has been in the chemical dependency sector since 1987 and joined the recovery center in 1993. At her previous job, she worked as a social worker for 5 years handling drug users who are with child.